Leading cancer researcher, Alex Huang MD, PhD, has been awarded a three-year, $1.35 million grant from the St. Baldrick's Foundation and the Osteosarcoma Collaborative to develop new ways to treat osteosarcoma, a rare cancer that begins in the bone. Huang, who is a professor of pediatrics at Case Western University School of Medicine, Theresia G. & Stuart F. Kline Family Foundation chair in pediatric oncology, and director of pediatric hematology-oncology fellowship program at UH Rainbow Babies & Children's Angie Fowler AYA Cancer Institute, will work with his multi-disciplinary research team to develop new ways to target molecules that evade immunity in osteosarcoma patients. 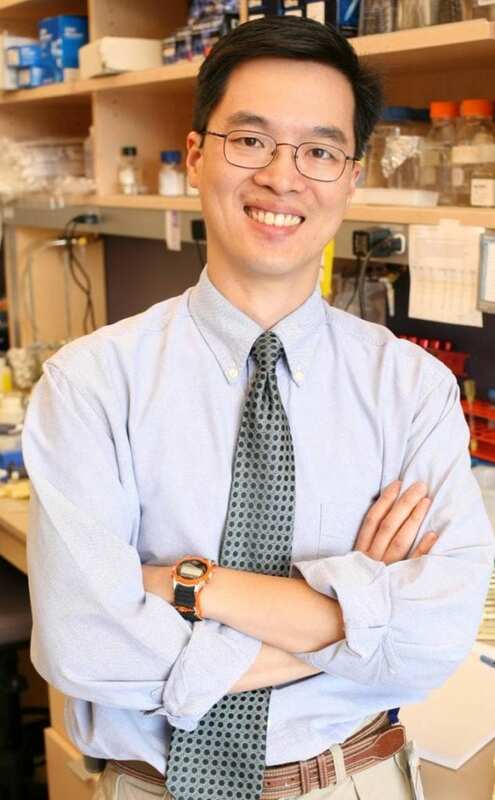 "Tremendous progress has been made in many pediatric cancer treatments over the last few decades, but even with innovative efforts in optimizing conventional chemotherapies, metastatic osteosarcoma outcomes are lagging behind," explained Huang, who also serves as co-leader of the Hematopoietic and Immune Cancer Biology Program of the Case Comprehensive Cancer Center. "It's evident this disease needs a new approach, and we believe immunotherapy is a key way to close this treatment gap." Nearly 450 cases of osteosarcoma occur per year in children and young adults, according to the NCI. "For the past three decades, the standard treatment for osteosarcoma has been intensive chemotherapy and limb salvage surgery," said Stanton L. Gerson, MD, director of the Case Comprehensive Cancer Center. "We're thankful this team of investigators is developing highly innovative approaches to characterizing osteogenic sarcomas, leading to new treatments likely to significantly improve the outlook and survival of patients." Huang and his team are developing new insights into how various immune system cells work within the metastatic osteosarcoma tumor sites in lung tissue. "Our goal is to create numerous immune-based clinical trials in the next three years to treat pulmonary metastatic osteosarcoma in pediatric, adolescent and young adult patients," he added. "I'm very thankful to this partnership for providing the resources we need to take our research into this next, exciting phase." The scientific team is composed of investigators from Case Western Reserve University School of Medicine, UH Rainbow Babies & Children's Hospital, Texas Children's Hospital, Baylor College of Medicine, along with industry partners. The Osteosarcoma Collaborative was founded by parents of kids diagnosed with osteosarcoma and partnered with the St. Baldrick's Foundation because of its trusted and rigorous scientific peer-review process. This grant was made possible by the partnership of these organizations and fundraising efforts of the "Shavers & Life Savers" St. Baldrick's head-shaving event. For more information about Case Comprehensive Cancer Center, please visit: case.edu/cancer. For more information about University Hospitals Rainbow Babies & Children's Hospital, please visit: uhhospitals.org/rainbow. For more information about St. Baldrick's Foundation, please visit: stbaldricks.org.